It is a legal requirement that your employer contributes 9.5% of your ordinary pay to your nominated Superfund. For example, if you earn $2000/month, you should receive an additional $190/month in the form of super contributions. Do bear in mind that super contributions are made quarterly. This rule applies if you are a full-time, part-time or casual employee who earns more than $450/month before tax. If you are under 18, you are only entitled to super if you work more than 30hrs/week. Your employment contract will usually specify which type of employee you are. If you believe you are an employee and are not receiving super as described, skip to the second-last paragraph of this article. Are you not an employee? Unfortunately, there is no obligation to pay super if you are a volunteer or intern completing unpaid work. The list is not exhaustive and you should seek legal advice if you believe that you qualify as an employee. If you are an employee, how can you check if your super is being paid? Super contributions must be recorded on your pay slip. If they do not appear there, you can contact your Superfund directly for a statement with your balance. If your pay slip or statement reveals that your super is being underpaid, then you may be able to sue your employer by lodging an official investigation with the ATO. However, the ATO will usually require that you contact your employer directly first. Discussing a superannuation dispute with your employer can be quite daunting. 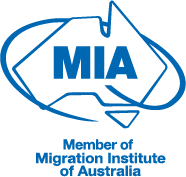 To avoid an awkward confrontation, make sure you are properly informed before approaching your employer by contacting Pathway Lawyers & Migration Agents for timely, cost-effective advice. Newer PostWhy remain a sole trader? Older PostLease deposits and bonds: What's the difference?